As a licensed psychologist and mother of five year-old Trevor, Tina was open to a diverse, integrative therapy program for her son who is on the autism-spectrum. 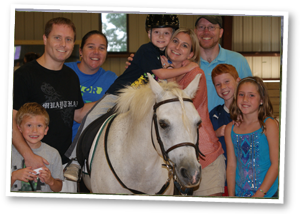 Speech therapy, occupational therapy, and dietary interventions all proved to be of some success, but nothing came close to the positive benefits Trevor’s parents saw when he mounted a horse in the ring at Loudoun Therapeutic Riding (LTR). Indeed, data from the Center for Disease Control (CDC) shows the estimated number of children identified with autism spectrum disorder (ASD) continues to rise. What’s causing the increases is unknown. 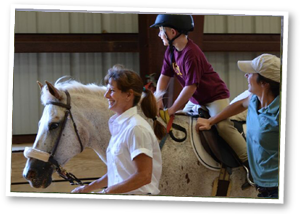 What is known and can be witnessed first-hand by anyone witnessing the interaction between students with autism and horses, is therapeutic riding is a unique and special gift to these children and their families. 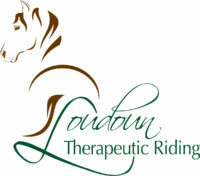 The current Loudoun Therapeutic Riding (LTR) facility operates at capacity with a waitlist of participants with autism hoping to get their chance to work with our therapy horses and highly-trained and warmhearted instructors and volunteers. In a sincere attempt to accommodate growing demand, LTR (a 501c3 organization) is currently raising funds to build a state-of-the-art facility on the majestic Morven Park grounds.